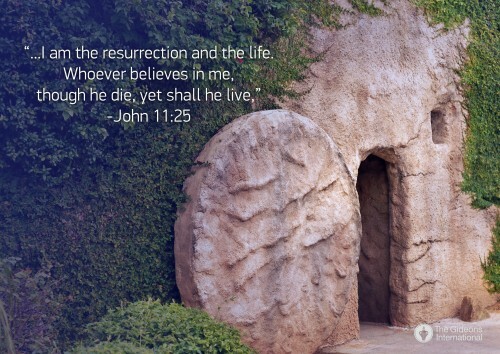 With Easter approaching, Christians around the world can rejoice because we know Jesus is alive, and that He dwells inside the hearts of His followers. The Gideons International is grateful to be used by God in sharing the Good News that Jesus has risen, and that whoever believes in Him will not perish, but have eternal life. As you’ve seen through the testimonies and photos we’ve shared on our blog and our Facebook page, God’s Word is still at work in the world. We praise God for His Word, His Son, and His loving grace. To all our members, pastors, donors, and other supporters, thank you for your desire to share God’s Word. May you all have a blessed Easter. I thank my God for the work of Gideon worldwide. May it reach to the ends of the earth. Praise the Lord. Amen!